Hot Product of the Week! 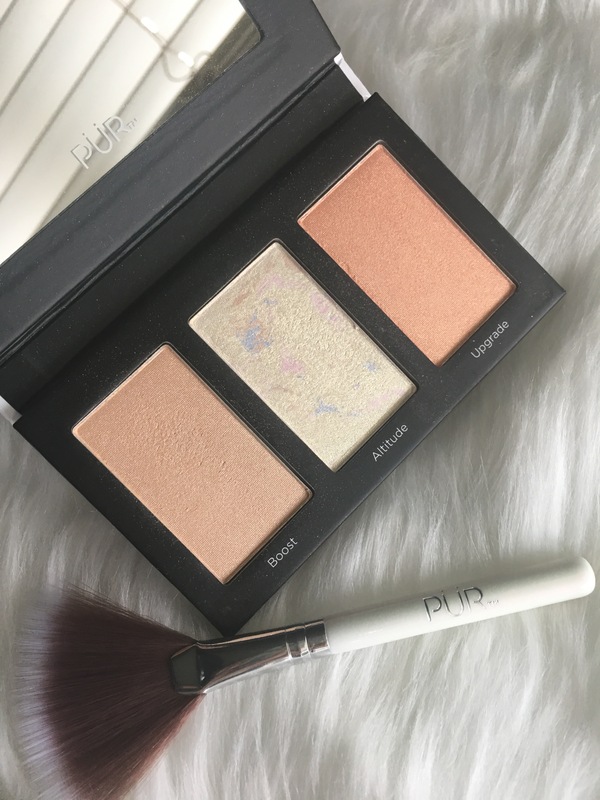 This week’s hot product is the PUR Cosmetics Elevation mini highlight palette! This is a gorgeous little palette that comes with 3 beautiful shades, mirror, and a mini fan brush for only $15. The shades Boost and Altitude are great highlights and the shade Upgrade is more of coral with gold reflects and makes an amazing blush topper. For $15, I think this palette is a really great value, especially for a higher end brand like PUR. I bought mine at Ulta and I am not sure if they can be found at Sephora as well or if this is a permanent product. The product itself is very pigmented and not too powdery. It is buildable, but for me personally these highlights give the right amount of glow without having to build it up too much. The fan brush is an added bonus, but to me it is too flimsy to blend out my highlight well enough. But I do use it to contour my nose and I actually really like how it looks!